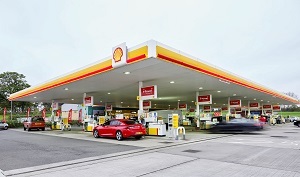 The contract will see VINCI Facilities will become one of Shell’s principle hard FM service providers operating across its UK retail forecourts. The two companies formed a strong understanding of each other’s values and business objectives which allowed VINCI to create a tailored operating solution to align with Shell’s 2025 retail business ambitions. VINCI Facilities’ team will embed the latest FM technology, digitising many aspects of the operation to deliver a best in class service that is fast, efficient and focused on quality and information visibility. One of the goals for VINCI Facilities will be change the emphasis to preventative maintenance, improving efficiency and bringing significant savings to the Shell maintenance budget and improving the overall experience of anyone visiting a Shell fuel station. Key to the performance measurement will be proactive data analysis and reporting processes. Jennie Lane, UK Retail Network Delivery Manager, said: “We are delighted to be appointing VINCI Facilities as our Facilities Management partner, having been particularly impressed with their strengths in innovative maintenance solutions. We very much look forward to working with VINCI Facilities and its wider team, and to its support in helping us achieve our 2025 business ambitions”.